The Centre has 23 floodlit tennis courts available for public hire 7 days per week. Choose from synthetic grass, synthetic clay, european clay or hard court surfaces. Bookings for Tennis Court Hire are always recommended on 9850 4500. Please Note: These times are our regular operating hours during the school term. 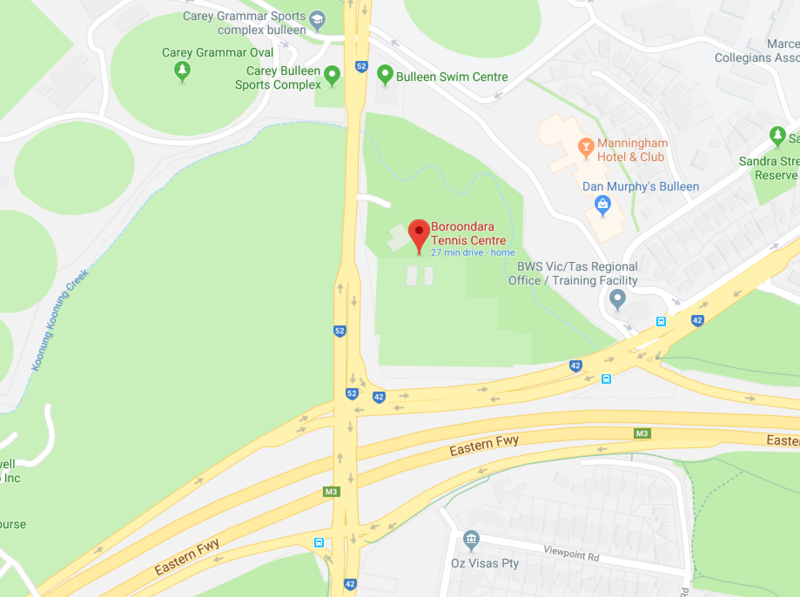 During school holidays or on public holidays these times may vary, please call the Centre on 9850 4500 to confirm opening hours for Tennis court hire during these times. We also cater for larger bookings for Schools, Tennis Clubs, Businesses or private functions at reduced rates. Ask us about our promotional court hire rates for bulk bookings.